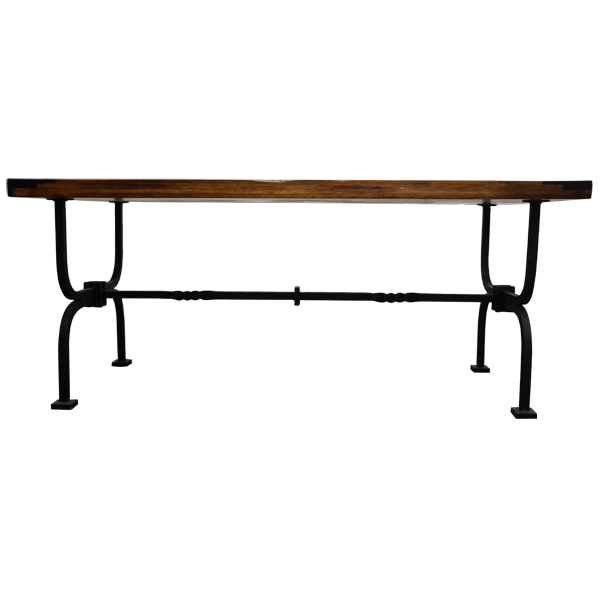 This handcrafted, Spanish colonial style console has a simple and elegant design that blends its beautiful finish with hand forged iron details. 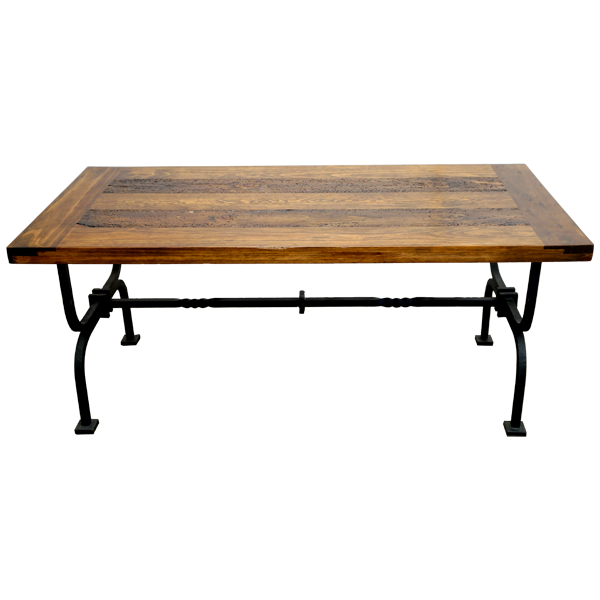 The solid wood of the open wide top is stained with a light and contrasting dark finish. 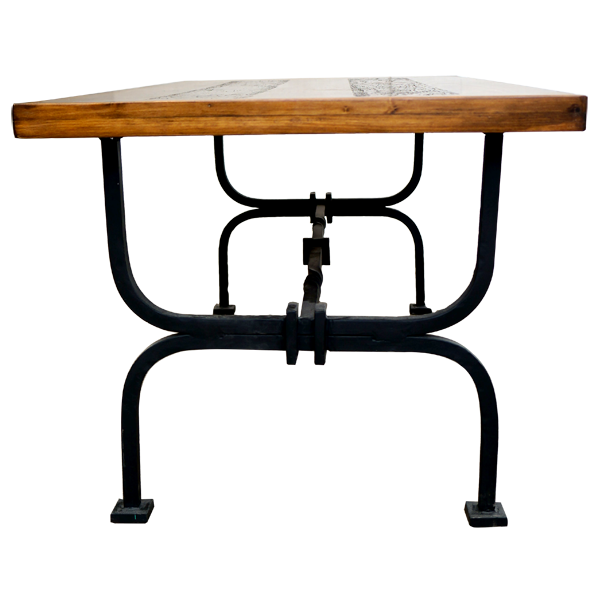 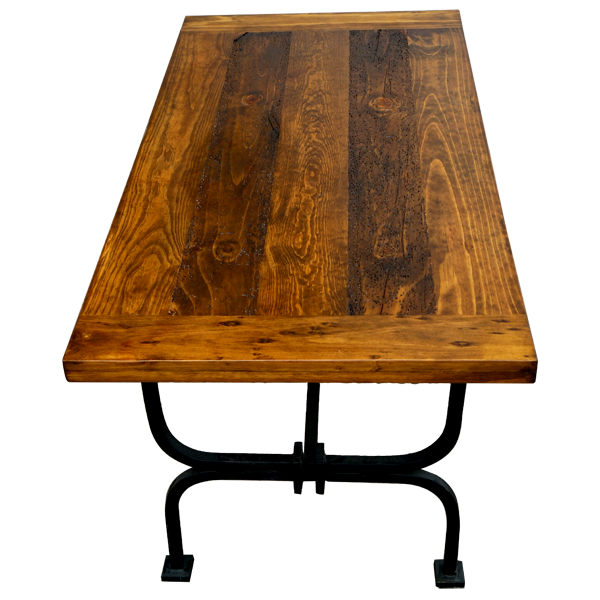 The console is supported by a hand forged, iron frame, and the sides of the frame are constructed with a double “U” shape design. 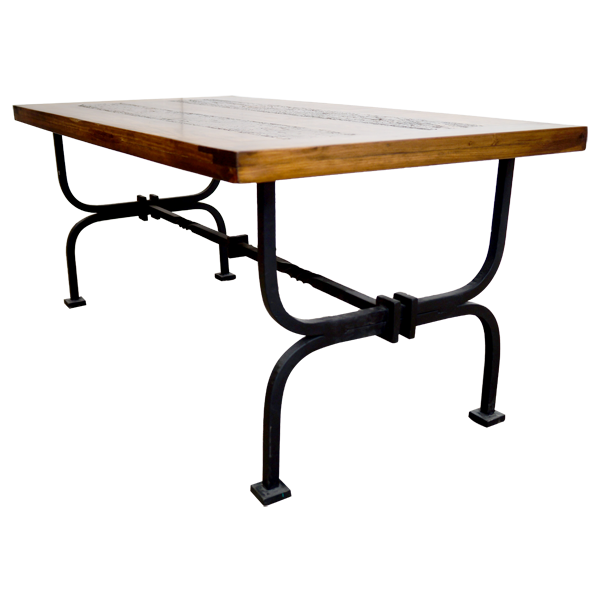 The lateral sides of the frame are connected with a hand forged, iron crossbar that is embellished with hand forged, iron details. 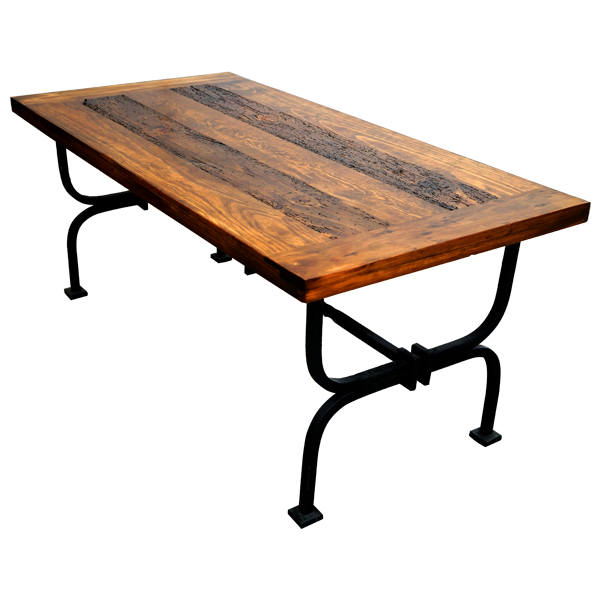 The top of the console is made with the best, sustainable, solid wood available, and it is 100% customizable.